Looking for something special to give to your Women’s Ministry Leader this Christmas? Or maybe you’re shopping for your Sunday school teacher, church secretary, Bible study leader, or best friend? I’ve got a few gift ideas for you! There’s something for every budget. *These are affiliate links. Your purchase is greatly appreciated as it helps keep this blog up and running! Nothing strike your fancy? 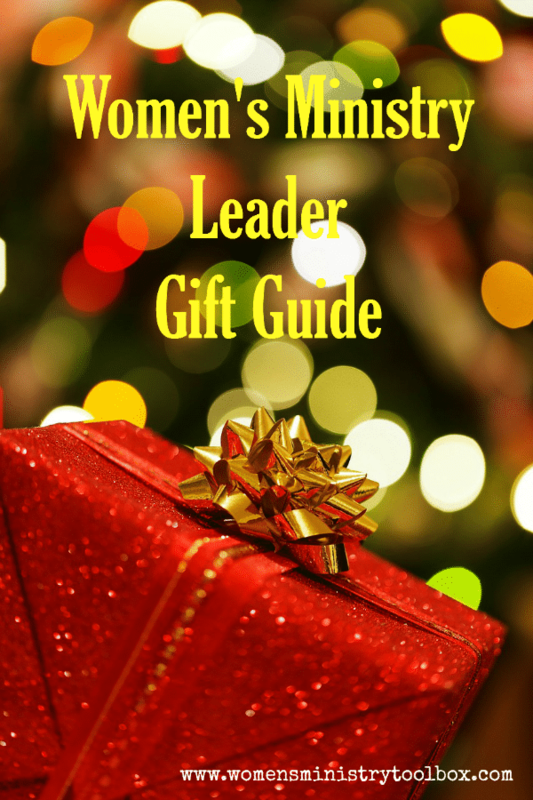 I’ve got several more gift ideas ($10 and under) on the Women’s Ministry Team Gift Guide. Christmas provides the perfect excuse for showing your team, your teacher, your leader, or that special friend just how much you value them.